oh, here we go — my.life.at.playtime. Remember when I fell inlove a few days ago with this fella? Yeah, it gets worse. 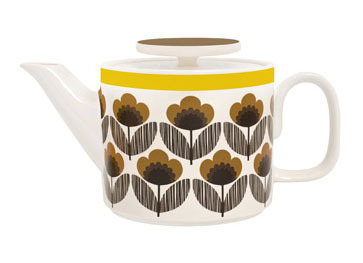 Orla Kiely has an entire line of kitchenware now!! I really am dying. Why oh why does all the awesome stuff have to start with the Brits? Come on! Seriously, I don't even know how to make lasagna, but I would LEARN if I had this dish! All you English people just better be happy I don't come over there with an empty duffel bag right now and clean out that store. 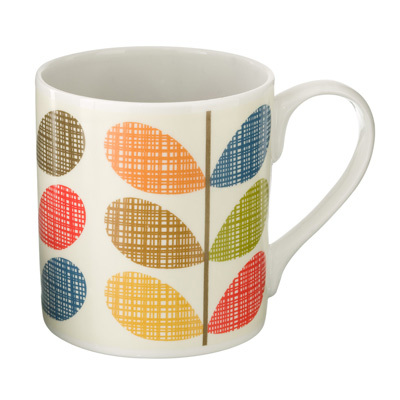 I mean, the mugs, the salad bowl, the pitcher, the utensil holder! I know my anniversary is maybe awhile away, say 6 months, but I can wait. I. can. wait. 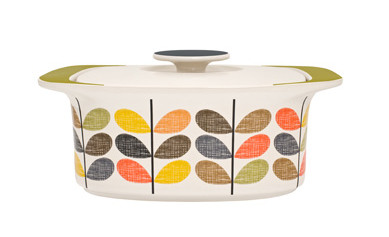 No, seriously, how about that little radio on my china cabinet in the dining room, and these kitchen items in my kitchen! Unity. Harmony. You get the point. They even have a composter. I seriously, I mean, I can't even type right. In awe at the moment.